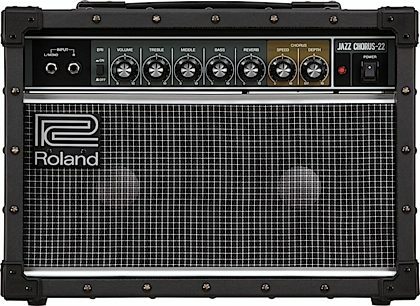 The Roland JC-22 Jazz Chorus delivers Roland's classic JC clean tone and famous Dimensional Space Chorus effect in a compact amp that's perfect for playing at home. Offering the essential features of the popular JC-40 in an even more scaled-down size, this versatile stereo amp is also great for intimate performances and recording. 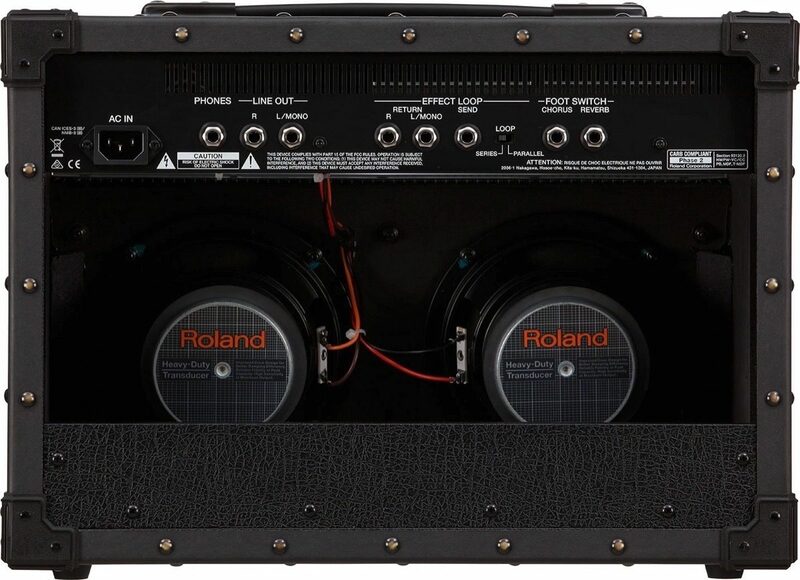 A high-quality reverb complements the onboard chorus, and there's also a stereo input on the front panel for plugging in modelers, multi-effects, and stereo stomps. 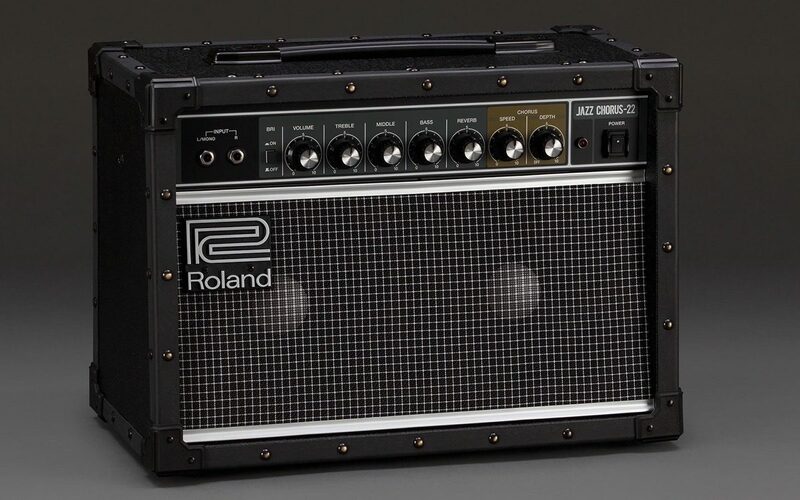 Built to the same standards of sound and durability that the long-running amp series is noted for, the JC-22 makes legendary JC tone more accessible than ever. For playing and practicing at home, there's no better platform than the JC-22. Its classic clean tone is ideal for use with all types of stompbox pedals, and you can even plug in stereo effects devices for wide, inspiring sound. The JC-22 works great with stereo-capable delay, reverb, and modulation pedals, and it's also perfectly suited for advanced gear that employs amp modeling, multi-effects, and/or synth capabilities. The JC-22's rear panel is filled with connectivity options. There's an effects loop for patching in mono or stereo effects, and you even have your choice of series or parallel operation. Line Out jacks give you a convenient direct feed to a mixing console or recorder, while plugging into the Headphones jack automatically mutes the onboard speakers for quiet practice sessions with phones. There's also support for optional footswitches, which allow you to turn the JC-22's chorus and reverb effects on/off while playing. "Big sound in a small package"
Overall: I think that this is one of the best small amps available today. It sounds much bigger than it is. The stereo inputs are great for stereo effects. It takes dirt pedals well, especially the amp-in-a-box style. 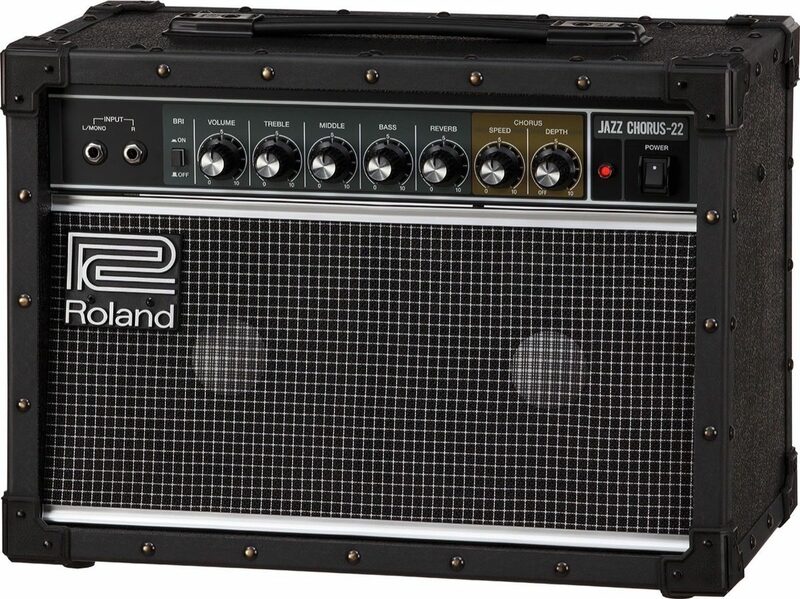 The built in Roland chorus and reverb are rich and very musical. 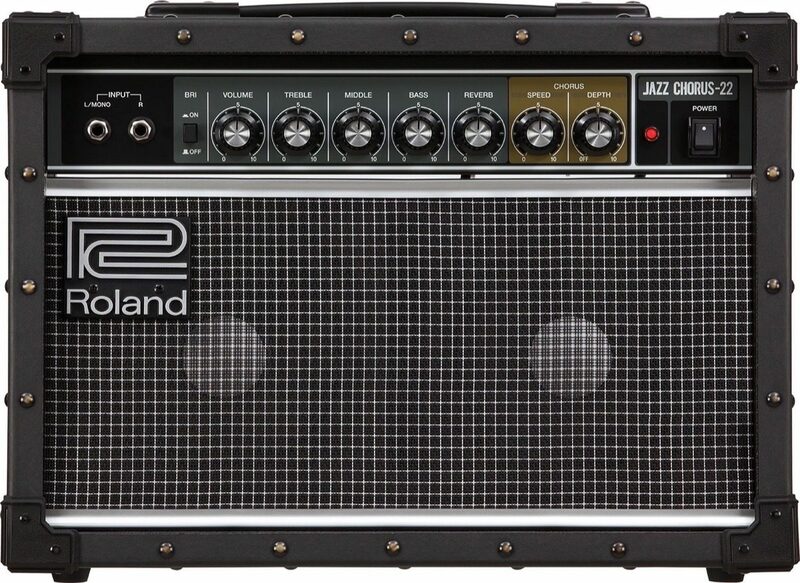 The tone is exactly what you'd expect from a Roland Jazz Chorus - all the gorgeous clean with sparkle (especially with the bright switch engaged) and richness, and never harsh. It's not cheap, but it's worth the price, IMO. Mine's a keeper. Style of Music: Rock, pop/rock, folk rock, and blues-influenced rock, plus a little funk and soul.